Yesterday I zipped up the 47 second elevator ride in the futuristic-sounding sky pods to the newly opened observatory on the 101st floor of One World Trade Center. 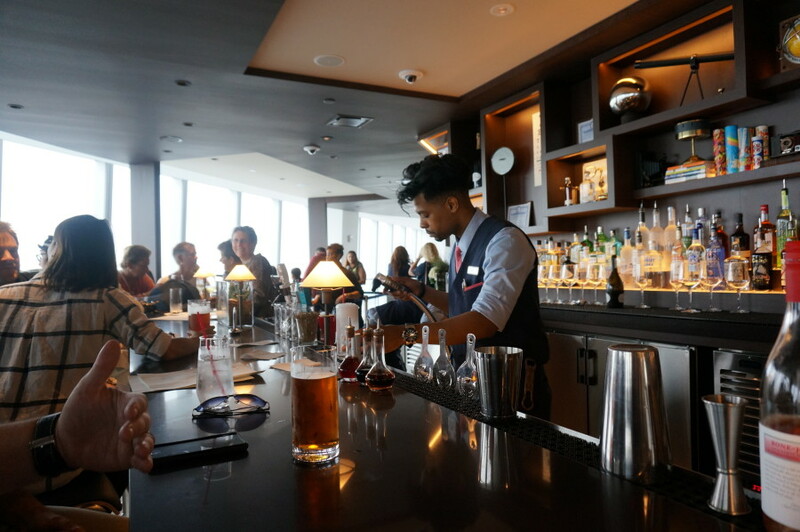 And I’m not embarrassed to admit that before taking in the 360 views that surrounded me, I headed straight for One World Trade’s new bar called One Mix. 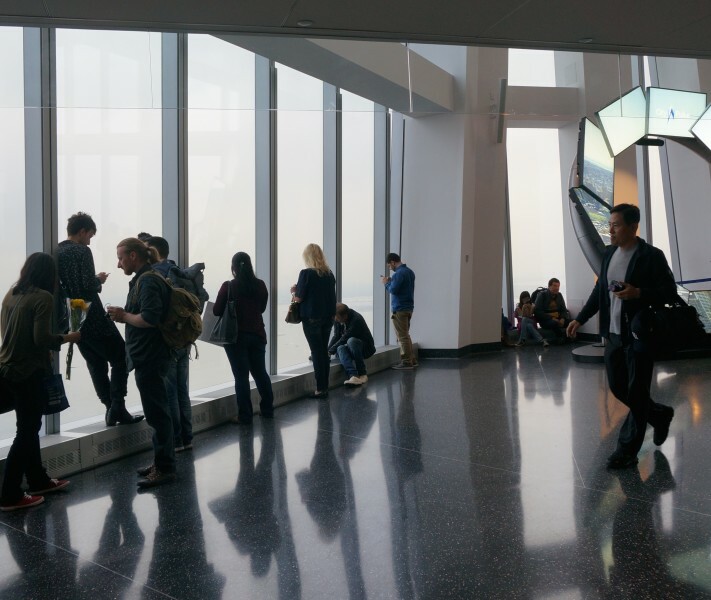 The spacious 360 degree walkway at One World Trade’s observatory offers views from every angle. 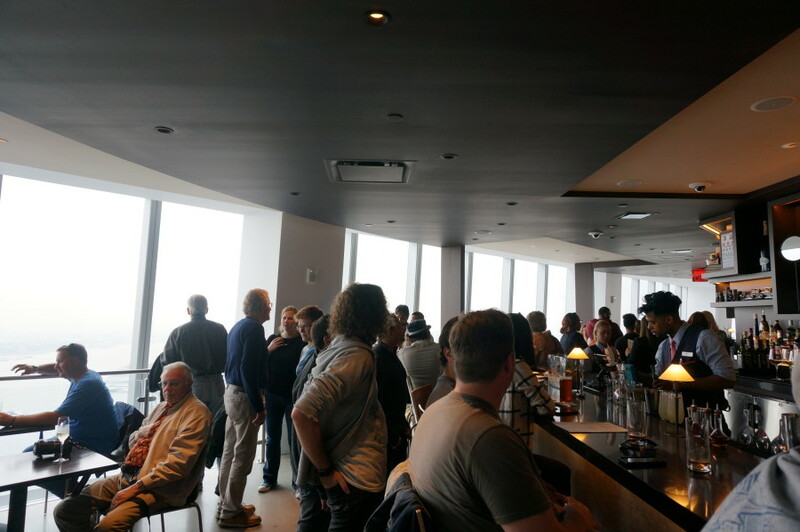 If you are queasy about heights or just want to celebrate the moment you arrive at the observatory on the 101st floor of One World Trade, I recommend you head straight to the bar, One Mix. To get to One Mix, head up the stairs to the balcony level. When we visited early on a Friday evening, there was plenty of standing room at the bar and just a short wait for a bar stool. At One Mix, you really do feel like you are drinking in the clouds. The walls of windows flood in light, and you need to look downward to experience the views of the city’s pointy building spires far below. For me, this first visit to the new World Trade Center felt like a momentous occasion. I considered ordering a glass of champagne to celebrate but decided a signature cocktail would be even better. 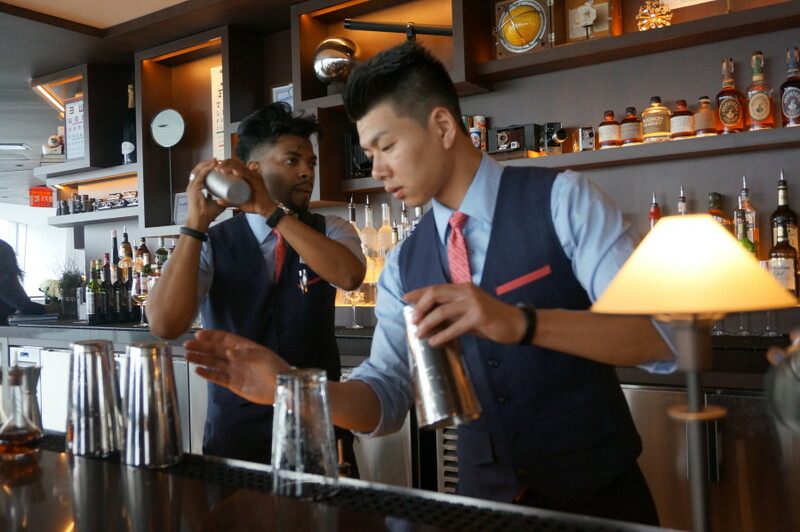 I asked one of One Mix’s best bartenders, Willie, to whip me up a One World Trade specialty cocktail. 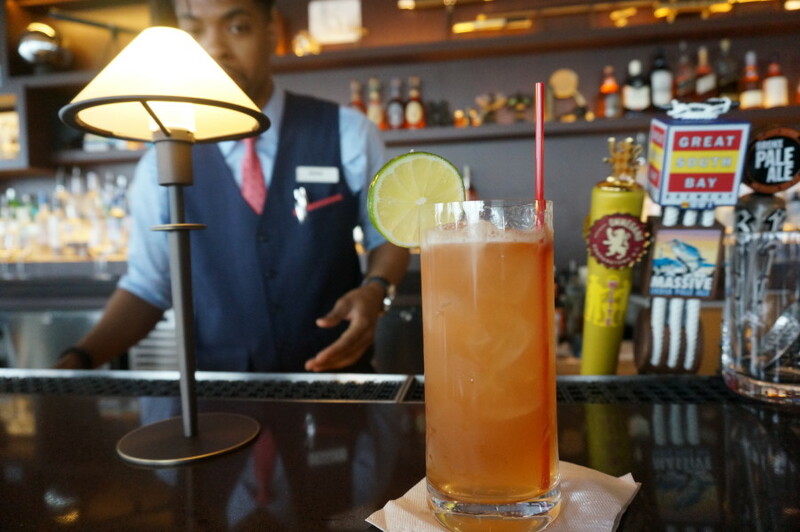 At first I was disappointed to learn that I timed my visit a little too soon after the opening– the One World Trade signature drinks wouldn’t be on the menu until the following week and the bartenders hadn’t even had a chance to learn the recipes yet. But I lucked out when Willie agreed to hunt down the recipe book and offer me a preview of a signature cocktail. I admit I got a little thrill knowing that I was going to be served the first-ever signature cocktail at One World Trade Center. 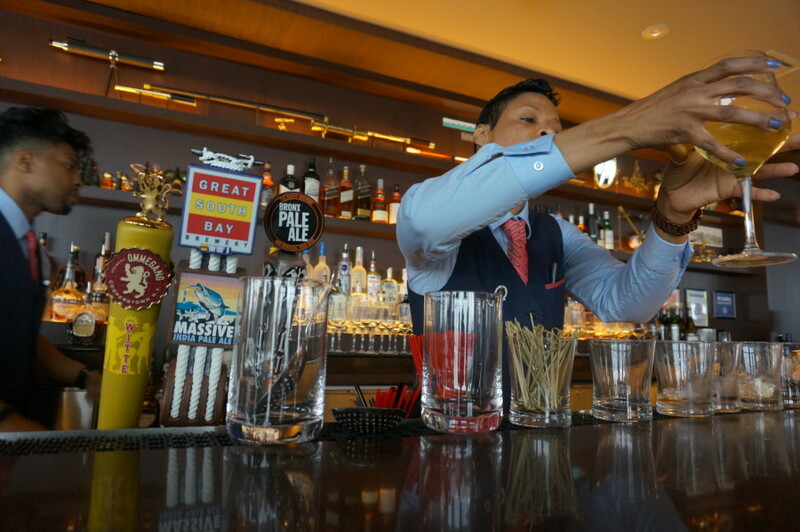 I’m happy to report that the first signature drink ever served at One World Trade Center’s One Mix bar, the One World Highball, was an absolute success– balanced, refreshing and just plain delicious. 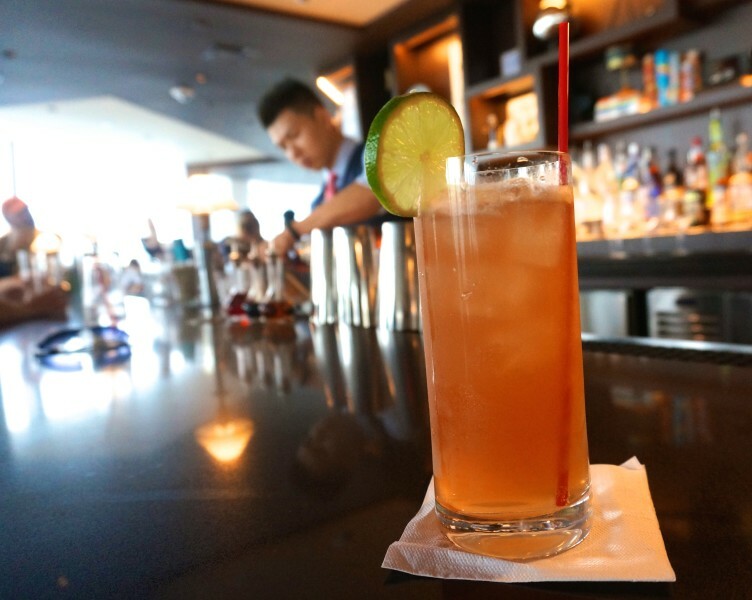 Along with the highball, One Mix will offer other signature cocktails, including drinks based on each of New York City’s boroughs. Along with the tasty cocktails, I enjoyed a little chitchat with Willie–who shared some insider stories about the building of One World Trade Center (including the well wishes and messages carved into the construction walls around us). Although you can take your drink roadie style (in a plastic cup) and wander the observatory with your drink in one hand and camera in the other, I decided to pay my tab (a very reasonable price by New York City standards at $14 for the One World Highball) and save my next highball for back home. Shake all ingredients except ginger ale. Top with the ginger ale and garnish with a float of bitters and a disc of lemon. 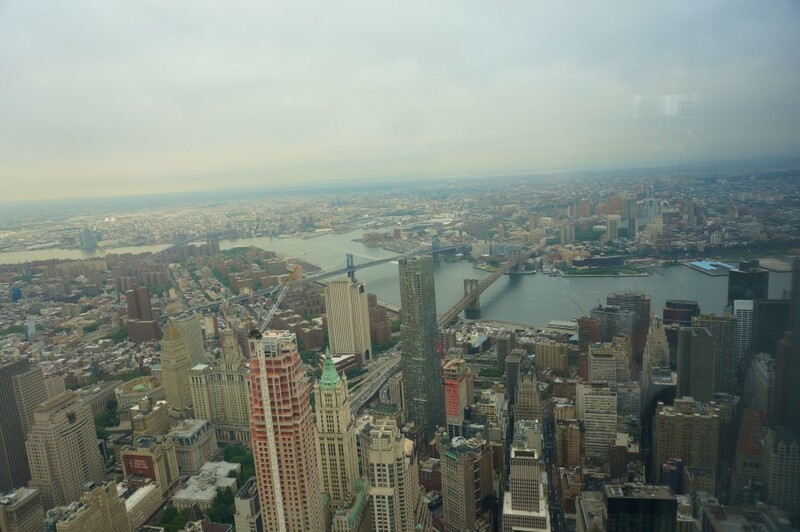 I visited One World Trade on a press visit with Walks of New York’s new WTC/Wolrd Observatory tour— a great way for visitors to experience the story of the new World Trade Center. While cocktails are not an official part of the tour, it’s the last stop so you can stay and enjoy the bar and views for as long as you like. I appreciate the acknowledgment. I really enjoyed your visit with me. You were a pleasant and rememberable guest. I don’t– maybe you can email them? Glad to know it’s still a great bar!! Thanks for commenting.